débruit full live band. March 19th. 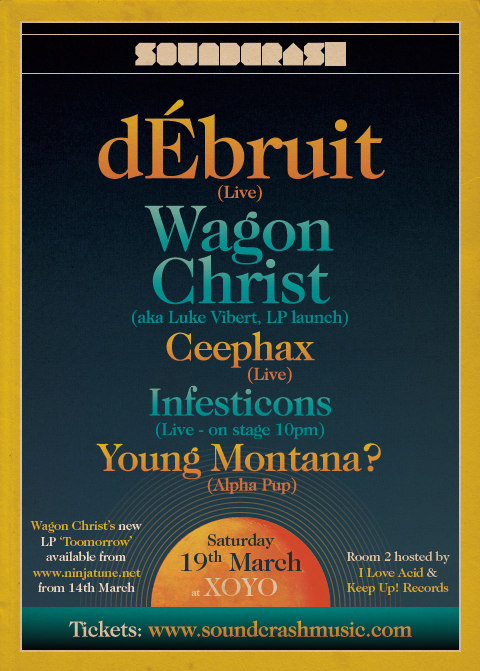 Soundcrash at XOYO London w/ Wagon Christ, Young Montana? and Ceephax.